Family-owned and community focused, The Carving Board Cafe offers the local’s favorite burger sliders, bbq sliders, mini-sub sandwiches, soups, and salads, all in one restaurant. Our menu is crafted so our guests can customize their order to the perfect size at an affordable cost. Whether you’re looking for a cozy spot to share a meal with a friend or catering an office lunch, The Carving Board Cafe is the perfect place to visit. Join the CB Club and Receive Text Promos and Mobile Coupons. Just text CarvingBoard to 71441 or click here to receive your first coupon. 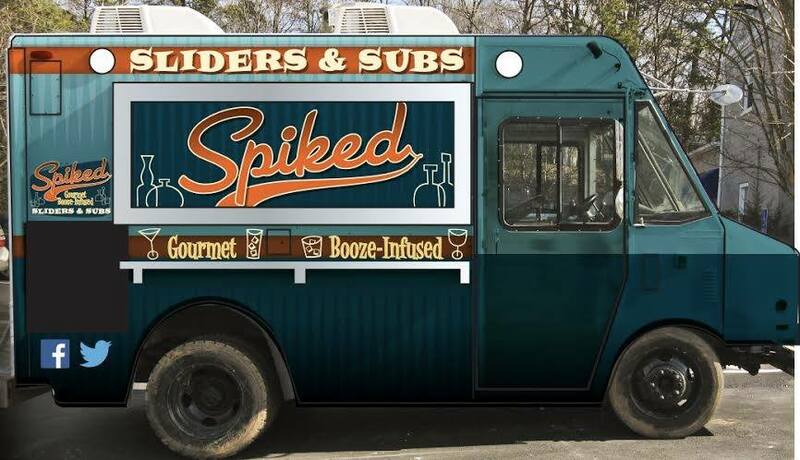 Spiked is a local food truck that specializes in gourmet booze infused food. Each menu item is has local alcohol infused in it. Check out the Spiked events calendar to see where we will be next! Event catering also available.